Some years ago, after being operated on to remove a kidney stone, I awoke from the anesthesia and found myself on a gurney in the middle of a row of gurneys. My first thought was frightening. I believed that I was mistakenly placed in the morgue. I raised up and yelled. Two nurses rushed to my side. One said to the other that my blood pressure was alarmingly high. One nurse told me that I was in the recovery room and that I fine, as the other nurse gave a shot of something that put me back under. I later blamed this episode on being weaned on Rod Serling’s Twilight Zone TV series as a preteen. Rod Serling (seen in the above photo), a prolific writer and creator of the mysterious and supernatural TV series, served as the narrator and host. His great presence and voice was often imitated and parodied. "There is a fifth dimension beyond that which is known to man. It is a dimension as vast as space and as timeless as infinity. It is the middle ground between light and shadow, between science and superstition, and it lies between the pit of man's fears and the summit of his knowledge. This is the dimension of imagination. 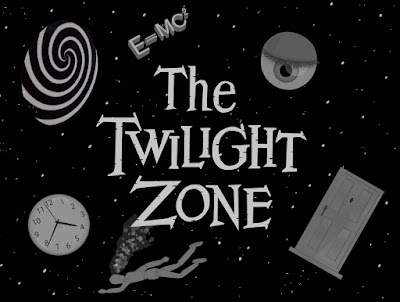 It is an area which we call the Twilight Zone," Rod Serling would say at the opening of the show. 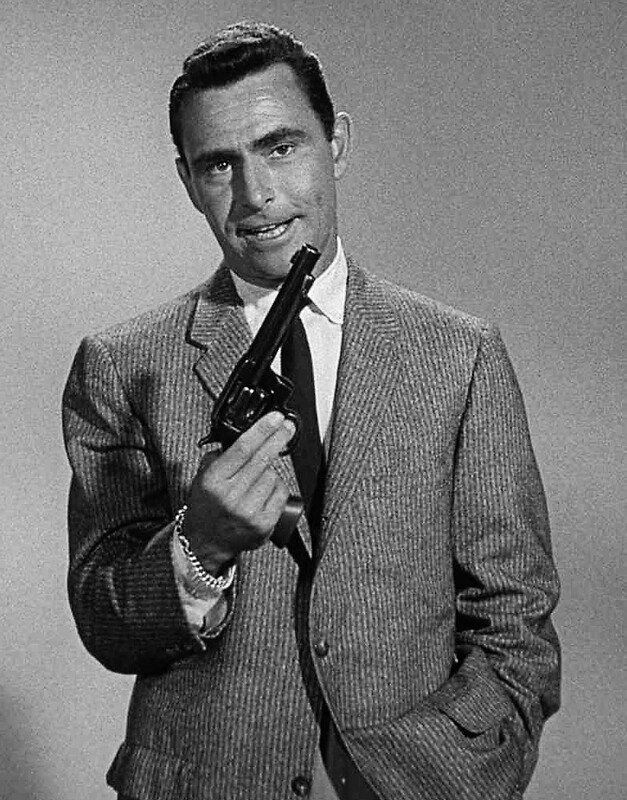 Rod Serling also offered great stories, many of which he wrote himself, as well as good direction and fine actors. Many of the writers, directors and actors went on to greater success and fame. The stories were clever, ironic, spooky and twisted. Even though many of the stories dealt with space aliens, they were always all too human with drama, comedy and pathos. I loved the show. Now CBS All Access is offering a reboot of the series with Jordan Peele standing in as narrator and host. I don’t think I’ll watch, as I recently watched the entire original series on Netflix over the course of a couple of months. Sara Stewart at the New York Post offers a piece on how some of the fantastic stories actually came true. As we approach the April 1 premiere of Jordon Peele’s “Twilight Zone” series on CBS All Access, it’s worth remembering that some of the most memorable episodes from the original 1959 run ended up being a little too prophetic. And even if we haven’t yet had an alien invasion like in the famed 1962 episode “To Serve Man” (“It’s a cookbook! !”), here are eight times Rod Serling’s masterpiece of a show proved unnervingly adept at predicting modern developments.